LOBOTOMY is a program that will allow you to easily and quickly change your AUTOEXEC.BAT and CONFIG.SYS files and boot-up with a different configuration. Providing software solutions for the mentally impaired. Copyright (C), 1990, Padded-Wall Software. San Diego, CA. in an environment that more closely resembles our customers' systems. pushed me over the edge and I came up with LOBOTOMY. You may be wondering why I chose the name LOBOTOMY for a program. Loosely translated, a lobotomy changes the way you use your mind. alternates that you specify) and then re-boots your system for you. configurations have been loaded and that you must dd at least one. you get back to the configuration list screen, press the key. for the title. Type and press . 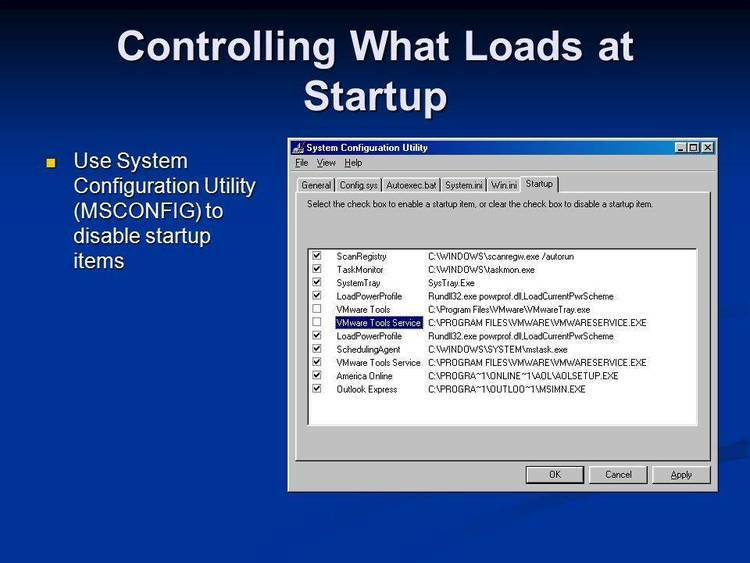 CONFIG.SYS, so name it something which describes its function. to beefore you actually try to use this configuration. enter a password if you like. key to return to the Configuration List Screen. and magenta is the "inactive" window). will have the same effect. There are basically two ways to make use of LOBOTOMY. additional effort on your part. LOBOTOMY's text editor is extremely simple in terms of implementation. story is don't use LOBOTOMY under Windows 3.0.
bug-fixes as soon as possible. That's the best I can offer you. new EXE file like the one that came in this ZIP file. any purpose other than the ability to take up valuable disk space. try my best to fix it and get you a new copy.